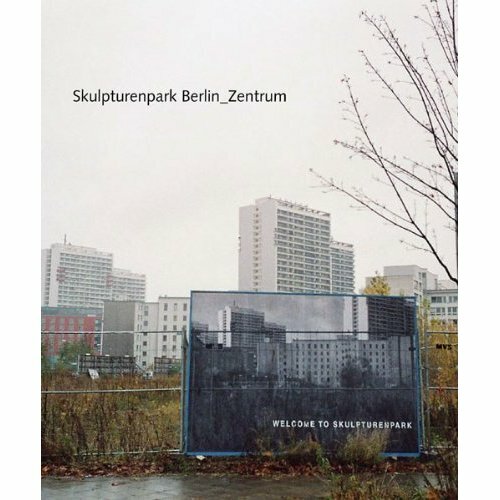 Skulpturenpark Berlin_Zentrum is a book published in 2010 which documents all the projects at the Park including my time and research at Simon Faithfull’s Mobile Research Centre in Berlin. In August 2009, a strange apparition lands in the wilderness of Skulpturenpark. Faithfull’s Mobile Research Station No.] is a curious hybrid- half hi-tech Antarctic Research Station/half rusty-broken-dumpster. Using a standard trash container as its basis, the station nevertheless forms a luxurious designer-pod providing for an eccentric set of researchers. Rather than exploring the frozen wastes of Antarctica or the moons of Saturn. the limited artists/researchers undertake their investigation in the surrounding no man’s land and urban zones of uncertain that still lie at the center of Berlin.